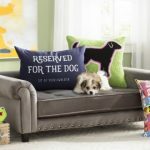 Wayfair Inc. (NYSE:W), one of the world’s largest online destinations for the home, today launched Archie & Oscar, a new Wayfair-exclusive line of furniture and household accessories for pets. Available now at Wayfair in the U.S. and Canada, Archie & Oscar features more than 500 unique and stylish items ranging from aquariums and gerbil cages, to food and toy storage containers, to outdoor chaise lounges and murphy beds thoughtfully designed for dogs and cats. 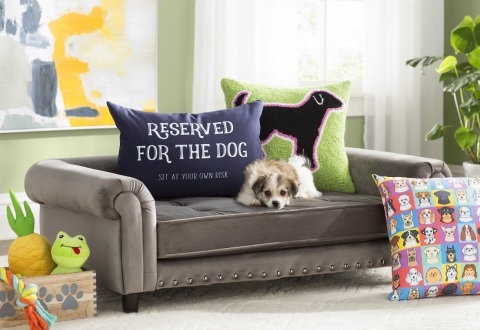 Wayfair unleashes Archie & Oscar, exclusive line of furniture and accessories for pets. To develop the line, Wayfair consulted pet experts to curate a collection that provides shoppers with a variety of products and styles that can easily match their existing decor. With options ranging from a modern sofa lounger with clean lines, to a traditional wooden coffee table with a built-in bottom bunk bed, Archie & Oscar furnishings add personality to any space without compromising on style. To celebrate the launch of Archie & Oscar, members of the Wayfair Pet Squad, a network of influential animal stars, have provided their paw-of-approval on their favorites finds from the new line. Envy, Zain and Trek: Trio of huggable Border Collies who are most recognizable for their affectionate poses. Lionel The Hedgehog: A resident of Charleston, South Carolina, this African Pygmy hedgehog loves selfies and rattan Peacock chairs. Nala the Cat: This seven-year-old rescue Siamese/Tabby mix is a Guinness World Records holder for “Most Popular Cat on Instagram” based on number of followers. Tibby the Corgi: A resident of Ontario, this Pembroke Welsh Corgi who is full of fluff and smiles is nuts for peanut butter and colorful furniture to snooze on. Venus the Two Face Cat: Known as the two-face cat, this rescue feline is famous for its distinct facial markings; one half is solid black with a green eye—the other is orange striped with a blue eye.